Today we will learn about difference between pump and compressor. Pump and compressor both are hydraulic machines used to increase the energy of fluid. Both of these devices used in industries and for domestic work. Pump is a device which is used to move the fluid (water, liquid and gases) and increase its elevation. It is mostly used to supply fluid from low elevation to high elevation. A compressor is a device which is a mechanical device just like pump but it increases the potential energy of fluid by compressing it in a closed container. The main difference between pump and compressor is that the pump is used to increase kinetic energy of fluid which further increases the elevation or pressure energy of it. It moves the fluid from one place to another. But the compressor is mostly used to increase the potential energy (pressure energy) of fluid by pressuring it into a container. 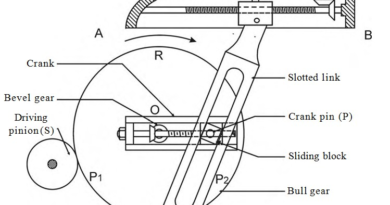 It is used to compress the fluid which increases its density and pressure. There are many other differences which are described below. fluid. It increases density of fluid. It increase pressure of fluid by move it at higher height. It increases pressure of fluid by compressing it. There is no change volume from inlet to outlet of pump. It is used to transport liquid like water, oil etc. It is used to transport gases. The may or may not change in pressure of fluid. There must be change in pressure of fluid. It is mostly used to increase energy of compressible fluid. side and forced it out from other side. 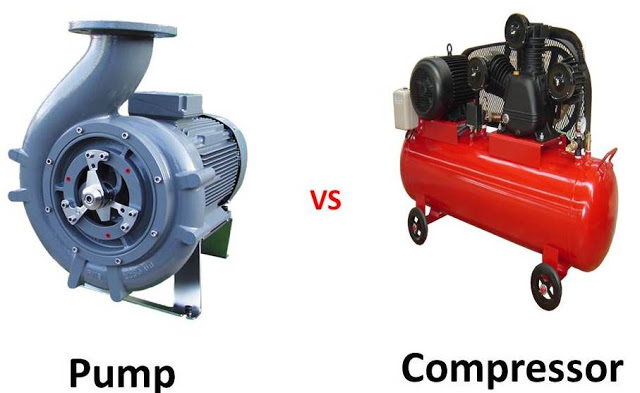 Today I have point out main difference between pump and compressor. If I forgot something, kindly inform me through comment.